Thank you to mum for this old photo. This has been up on mum’s photo board for as long as I can remember. It’s one of my favourites. I’m not sure how old I am here. 7 or 8 years old perhaps? 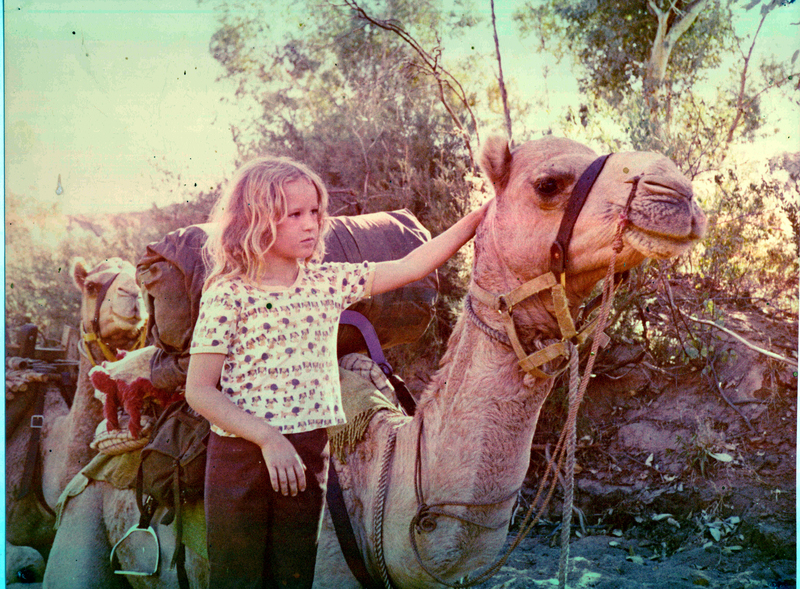 I’m guessing these are Hal’s camels and the one I’m with is probably Sam. I love camels. The funny thing is, I found this photograph quite by accident yesterday, after it went missing for over a year, on exactly the same day camel spirit medicine helped me during a healing with a client. I was shown a blockage in her throat chakra and ‘went in’ to it. ‘Going in’ means diving, melting, falling into this part of the energy field with my mind, my focus, my awareness…. while also sliding my energy hand into the chakra so I can feel around.